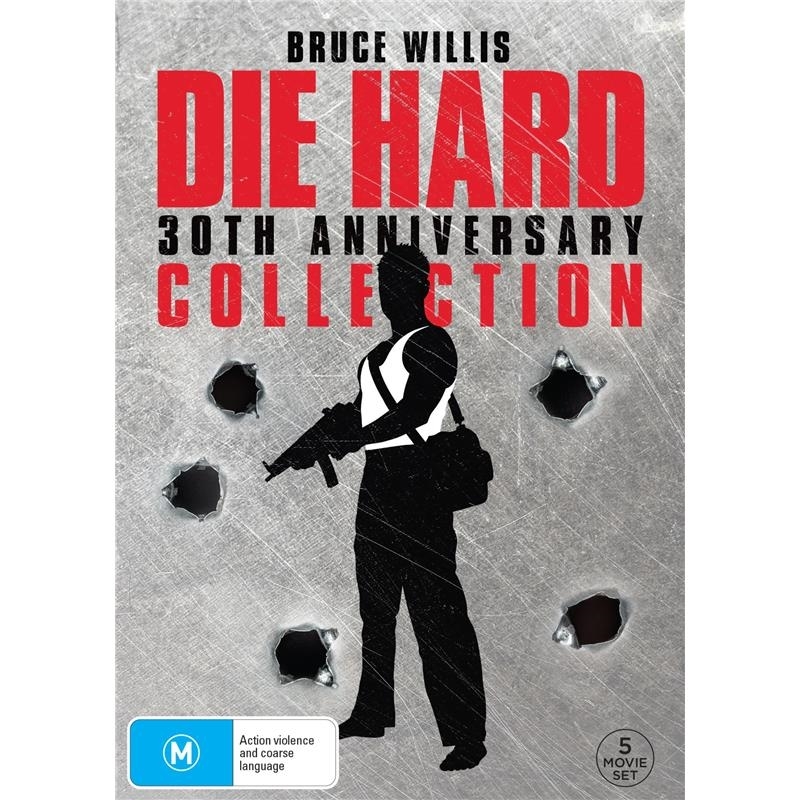 BRUCE WILLIS IS THE LEGENDARY JOHN McCLANE in this one-of-a-kind Die Hard collection that brings all five iconic films together for the very first time and celebrates 30 thrilling years of one of the worlds most loved action-packed franchises. Bruce Willis is John McClane, a New York cop who flies to L.A. on Christmas Eve to visit his wife at a party in her company’s lavish high-rise. Plans change once a group of terrorists, led by Hans Gruber (Alan Rickman), seize the building and take everyone hostage. McClane slips away and becomes the only chance anyone has in this beginning-to-end heart-stopping action thriller. Bruce Willis returns as John McClane, an off-duty cop who is the wrong guy in the wrong place at the wrong time. On a snowy Christmas Eve, as he waits for his wife’s plane to land at Washington’s Dulles International Airport, terrorists take over the air traffic control system. It’s now up to McClane to take on the terrorists, while coping with an inept airport police chief, an uncooperative anti-terrorist squad, and the life of his wife and everyone else trapped in planes circling overhead. Bruce Willis is once again John McClanE, a New York cop now the personal target of a terrorist who calls himself “Simon” (Jeremy Irons), who’s determined to blow up the city. Accompanied by a reluctant civilian (Samuel L. Jackson), McClane engages in a twisted version of “Simon Says” in this thrill-a-minute adventure through New York City that grabs you and doesn’t let go! Bruce wWllis is back as John McClane, a New York cop ready to deliver old-school justice to a new breed of cyber terrorists. When a massive computer attack on the U.S. infrastructure threatens to shut down the entire country over Independence Day weekend, it’s up to McClane to save the day once again.